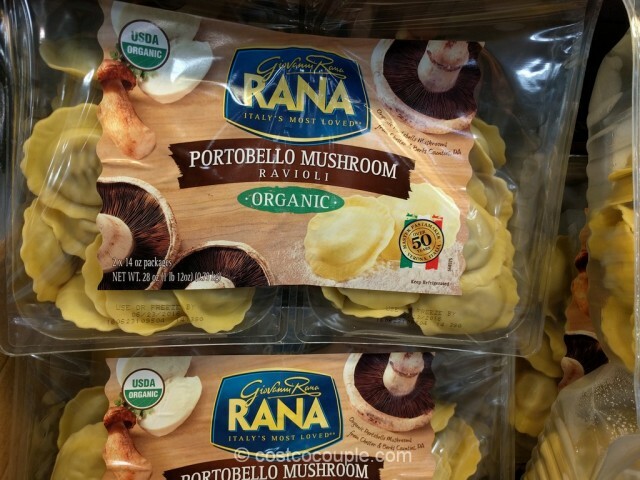 The Rana Organic Portobello Mushroom Ravioli was spotted right next to the Rana Organic Asparagus and Mozzarella Ravioli. 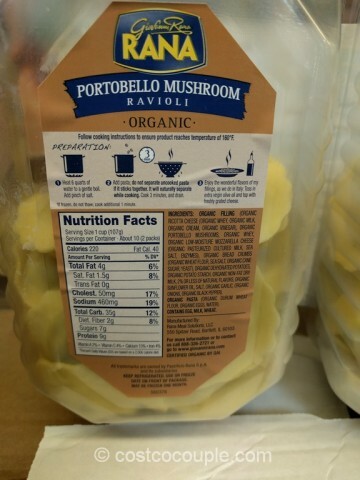 I think these are the 2 newer ravioli options at Costco. 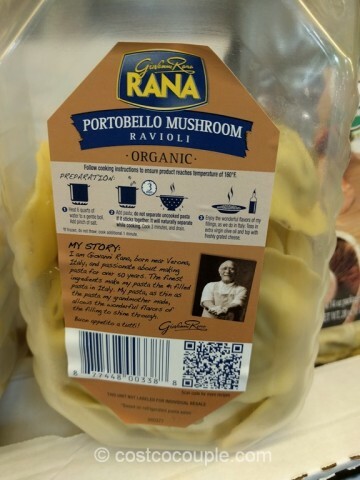 The filling consists of a blend of ricotta cheese, mozzarella cheese and portobello mushroom. 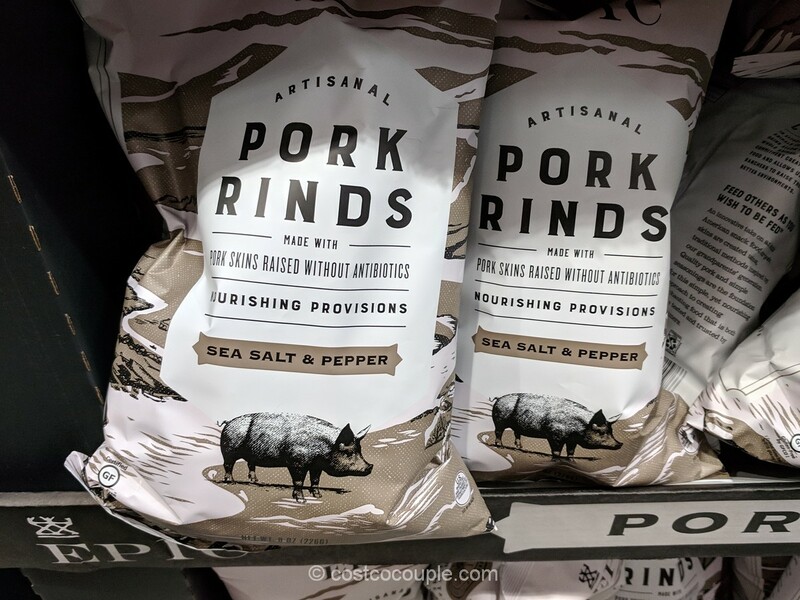 I think it’s suitable for vegetarians but you should double check the ingredient list just to be sure. 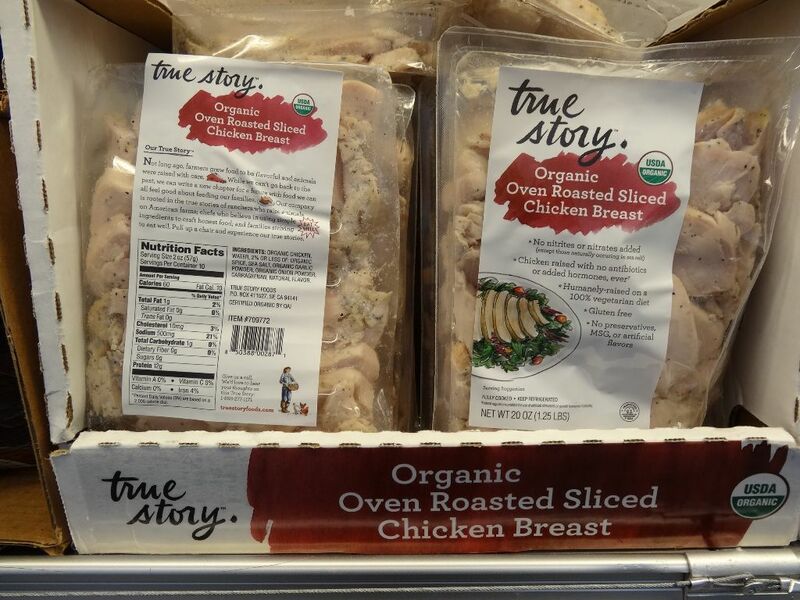 They cook in about 3 to 4 minutes and can be cooked straight from the freezer as well. 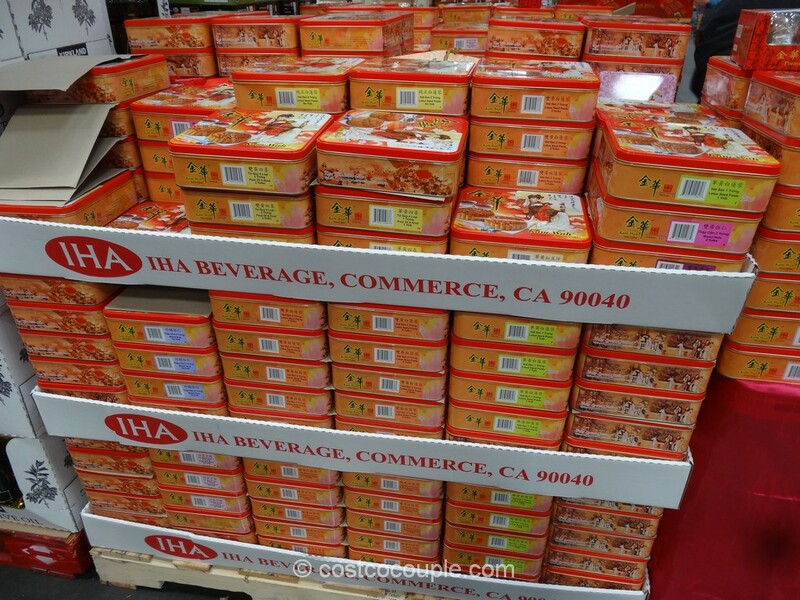 It comes in a 2-pack of 14 oz each. 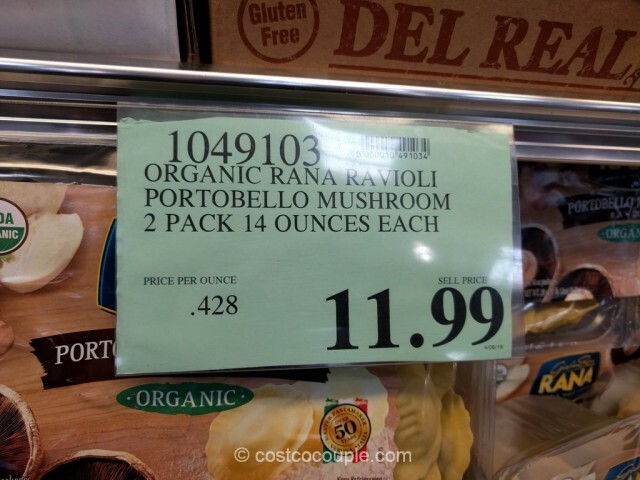 The Rana Organic Portobello Mushroom Ravioli is priced at $11.99 for the 2-pack.